Hobbits, dragons and elves oh my! This week the boys take on the titans of fantasy literature. 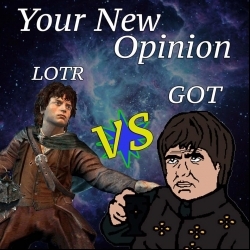 It's Lord of the rings vs game of thrones! 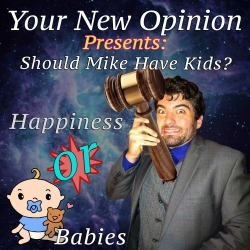 This week, the boys discuss the beauty of childbirth and decide whether or not Judge Mike should have kids. Ryan lays down a hard no and says Mike should refrain from procreation while Nick believes Mike should experience having his own little bundles of joy. Death. It happens to us all. But what should we do with the bodies? That's what the boys weigh in on in this week's episode. Ryan tells us why taking a corpse and burning it to ash is the way to go while Nick says drop them in hole of dirt. Will Ryan be able to solve the pollution epidemic through cremation? Conspiracies! Is our government lying to us? Nick thinks so. 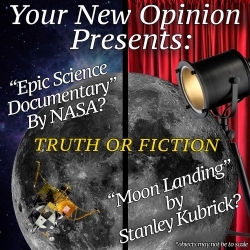 Join in as the boys debate the moon landing! Ryan puts his trust in our leaders and says we went to the moon, goddamn it! Nick is a little more suspicious. Will Ryan prove that the powers-that-be didn't lie to us?